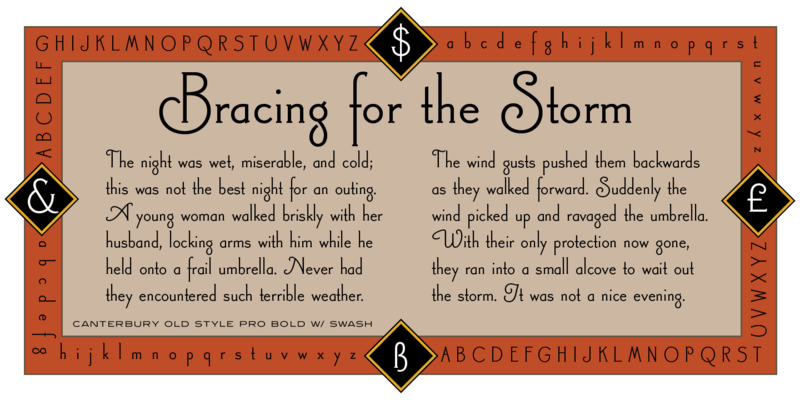 Canterbury Old Style Pro is a two-weight serif font family with a small x-height. 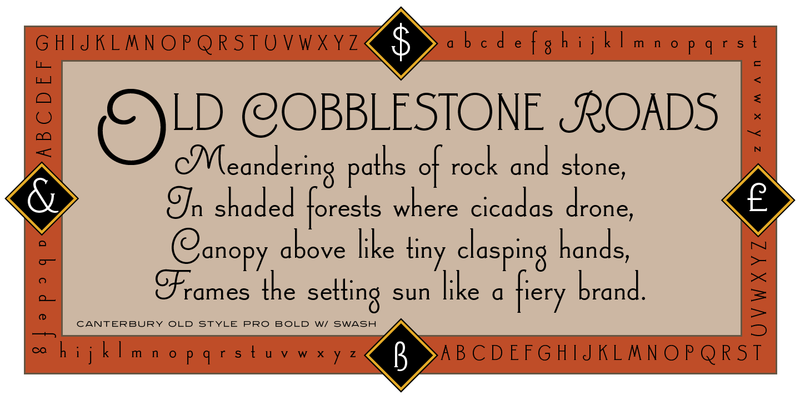 In 1920, Morris F. Benton designed the original weight for American Type Founders (ATF). 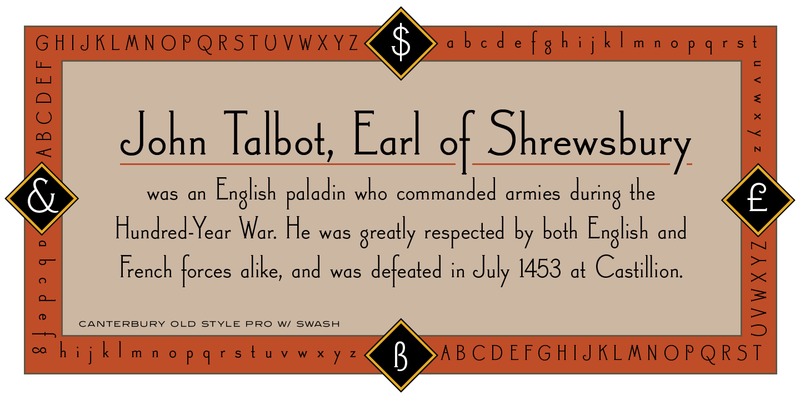 Raymond Vatter and Steve Jackaman (ITF) produced the digital version in 1992 and added a new “Bold” weight, and a full set of swash capitals were designed and released in 2003. Jackaman redrew and refined the family in 2017. Canterbury Old Style Pro has an extended character sets that support Western, Central, and Eastern European languages. 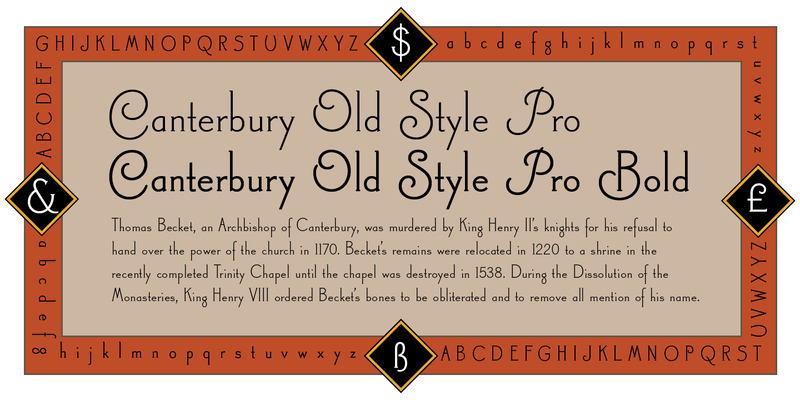 Canterbury Old Style Pro has a whimsical, old-time feel, and handsomely distinguishes itself at all sizes. 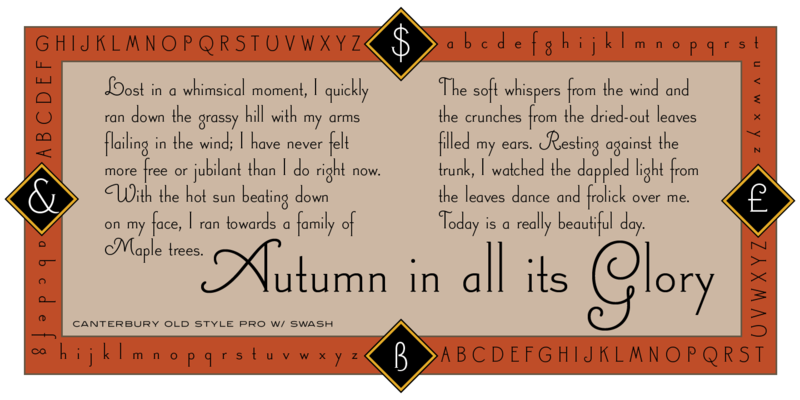 Canterbury Sans, its sans serif sister font, complements the family with its flowing forms. Canterbury Old Style Pro is a trademark of International TypeFounders, Inc.
©1992, 2003, 2017. International TypeFounders, Inc.